The Astral Media offices earned the broadcasting/signage company, and design firm Lemay, an inaugural 7 Facteur D Award. Photo © Claude-Simon Langlois. Photo courtesy Mission Design. More than 500 people attended the inaugural 7 Facteur D Award ceremony held at the Montréal Convention Centre this week to celebrate this year’s best in architectural design. The overarching goal of the event is to encourage companies and organizations to understand the economic and social benefits of architecture, design, and urban planning—which is referred to as “the D Factor.” To be eligible for an award nomination, the lead designer on a project must be headquartered, or have an office, in Québec. The awards were distributed in front of spectators at the Facteur D Soirée. As they were presented on the basis of design quality as well as positive economic and social impacts of projects, the trophies went not only to designers and architects, but also planners and clients. Planning/Urban Design: The City of Montréal and Daoust Lestage inc. for Quartier des spectacles, Secteur Place des Arts, an urban renewal project introducing open event spaces throughout the cultural centre of Montréal. All 47 nominees presented their projects at the event and the winners were decided on by a jury of international industry professionals. 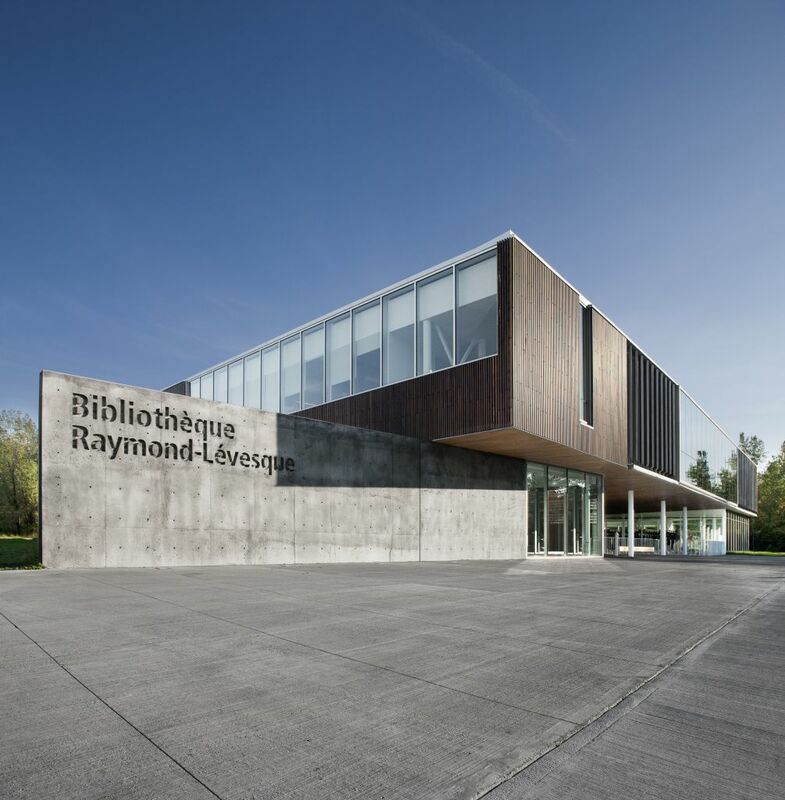 The City of Longueuil, Manon Asselin, and Jodoin Lamarre Pratte were honoured in the Architecture Category for Bibliothèque Raymond-Lévesque. Photo © Marc Cramer. Photo courtesy Mission Design.